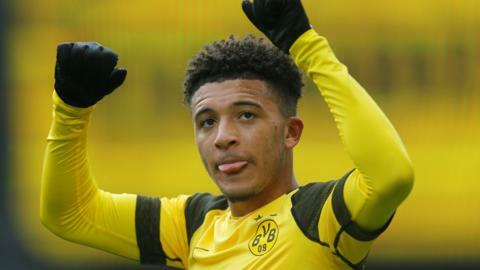 England forward Jadon Sancho makes history with two more goals as Borussia Dortmund beat Mainz to go top of the Bundesliga, for a day at least. German champions Bayern Munich thrash bitter rivals Borussia Dortmund 5-0 to move back to the top of the Bundesliga table. Marco Reus's stoppage-time strike helps Borussia Dortmund come from 2-1 down to defeat Hertha Berlin and take a three-point lead in the Bundesliga. Watch all of the goals from Bayern Munich's 5-0 hammering of Dortmund, leapfrogging their Bundesliga title rivals to go top of the league.